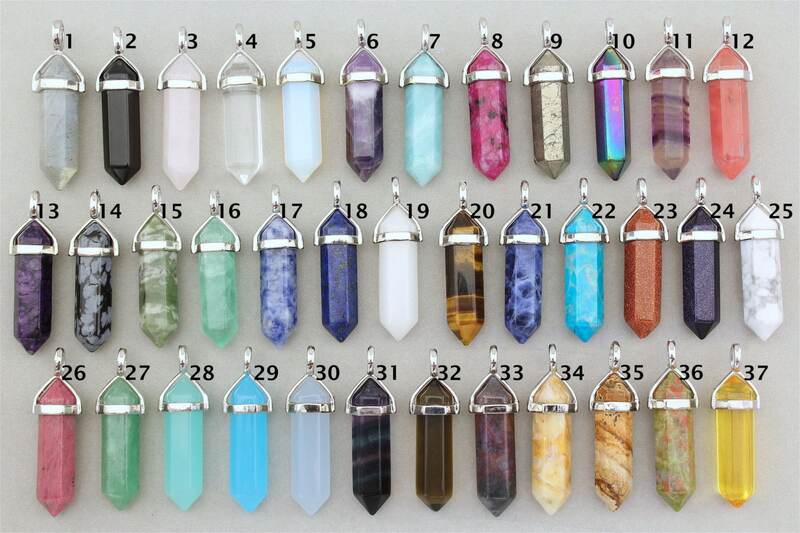 - This listing is for 1 Crystal pendant! 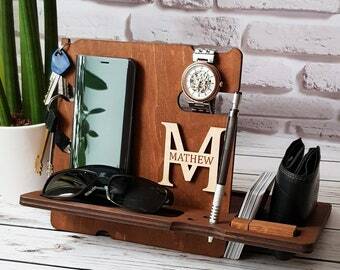 Custom orders are available by request! If you have any questions, please don't hesitate to message me! Boho Necklace. Opalite Necklace. Opalite Crystal Necklace. Opalite Crystal Point Pendant. Silver Stone Necklace. Natural Gemstone Necklace. Amethyst Healing Crystals and Stones Necklace. Purple Stone Jewelry. Amethyst Point Gemstone. Healing Jewelry. Amethyst Pendant Silver. White Jade Necklace. White Stone Necklace. Natural Gemstone Beaded Necklace. White Crystal Point. White Natural Mineral Necklace. 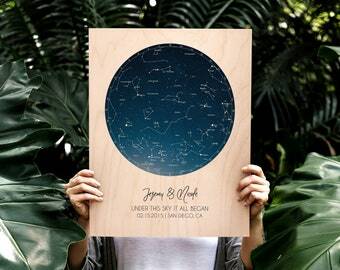 15% OFF everything in store! i finally have a Lapis Lazuli and its gorgeous! Sunvsmoon highly recommends you to measure your neck before ordering any choker. 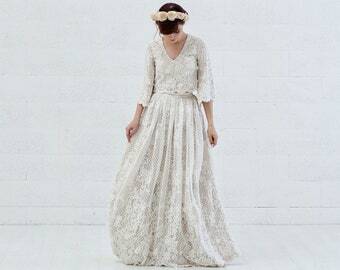 It is important to order a length that is close to the measurement of your neck. Our chokers do come with an extra 2 inches of extension chain to loosen if its too tight. Labradorite Crystal Point Chain Necklace. Natural Gemstone Long Necklace. Boho Style Silver Chain Jewelry. Bohemian Healing Stone Jewellery. 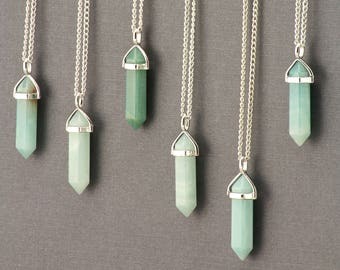 Amazonite Point Necklace. Gemstone Spike Necklace. 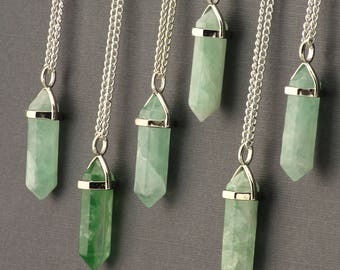 Green Crystal Necklace. Silver Chain Stone Necklace. 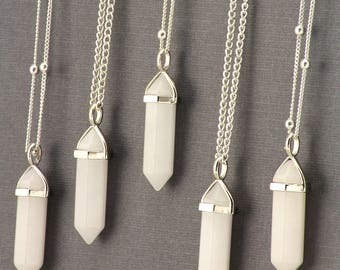 Natural Gemstone Point Necklace. Turquoise Necklace. Turquoise Jewelry. Blue Turquoise Natural Stone Necklace. Dainty Bead Necklace. Silver Layering Necklace. Blue Gemstone.